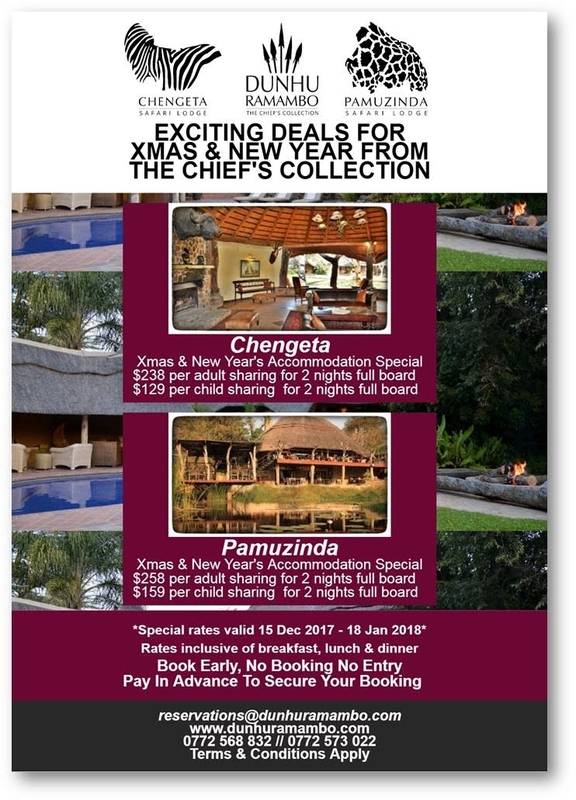 Chengeta: Christmas & New Year's accommodation Special. $238 per adult sharing for 2 nights full board. $129 per child sharing for 2 night full board. Pamuzinda: Christmas & New Year's accommodation Special. $258 per adult sharing 2 nights full board. $159 per child sharing for 2 nights full board.